Jo's Favorite Things: Happy New Year From Paris!! Happy New Year From Paris!! No, I'm not in Paris for the New Year! But it sounds beautiful! 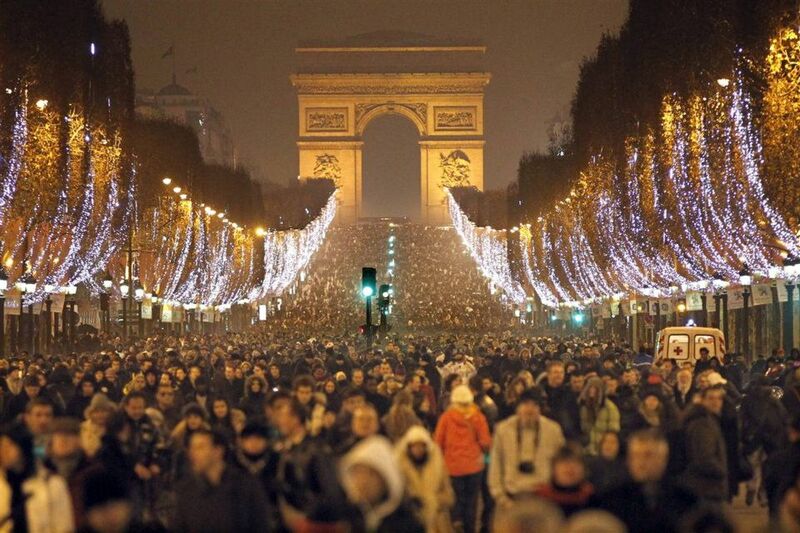 Happy New Year in Paris - The place to be is the Champs-Elysees. Around 9pm, people gather at the famous street and start to count down to the New Year. Around midnight you can watch the Eiffel Tower’s light show. Montmartre is another fantastic place to ring in the New Year as it is elevated and has spectacular views of the entire Paris skyline. While Paris doesn’t typically have a fireworks show, there are still great parties and many people light off "personal" fireworks near the Champs-Elysees.